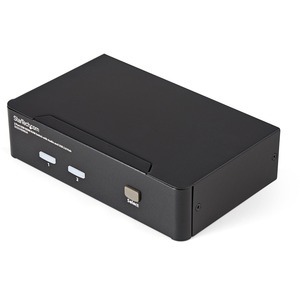 The SV231HDMIUA 2-port USB HDMI KVM Switch lets you control two USB-enabled multimedia computers or devices with HDMI video interfaces, using a single peripheral set/console (USB keyboard, mouse, monitor, speakers and microphone.) 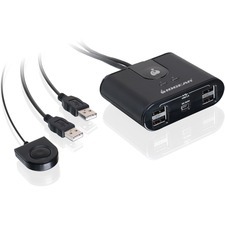 A highly versatile KVM solution, the USB HDMI KVM Switch features an integrated 2-port USB 2.0 hub that lets selected computers access shared high speed USB devices, eliminating the cost of duplicate USB peripheral purchases. Ensuring high quality video capability, the HDMI KVM switch supports HD resolutions of up to 1920 x 1200. Offering genuine digital signal transmission over the cable, this switch can be used to share one HD panel between multiple HDMI sources such as Blu-Ray players, Video Game consoles and HD media centers.